Healthy Gal's Healthful Life: Tomato News and A Recipe! 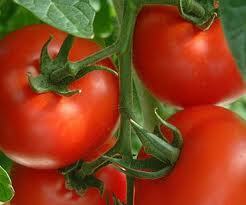 As one of my favorite fruits, Tomatoes are packed with the good-for-you stuff- lycopene. Lycopene has been shown to be a powerful preventer of cancer, heart disease, and macular degeneration (an eye condition in which the center of your retina, the macula, deteriorates and can eventually lead to blindness). 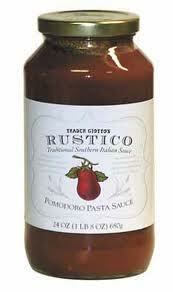 Besides the fact that tomatoes are so good for you, they are delicious and a great addition to any dish (I think!). But how often do you branch out and buy different color tomatoes? I certainly don't do it, ever. I always stick to the safe choice- the red ones. However! There was recently a study done by the USDA that found that there is actually more of the good-for-you stuff in the yellow tomatoes! 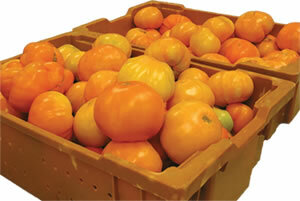 The fact that the yellow-orange tomatoes (called tangerine tomatoes) are actually better for you is shocking to me. When you type lycopene into google, the first sentence that pops up about lycopene is that it is found in red fruits and vegetables- which obviously yellow tomatoes are not! Besides being filled with lycopene that prevents cancer, heart disease, and macular degeneration, why else are tomatoes so good for you (and I don't mean ketchup!)? They've got fiber, vitamin C (32% of the recommended daily amount) and vitamin A (25% of the recommended daily amount)! Turn on the oven to 375 degrees, put the salmon on a baking sheet (slightly oiled with olive oil), put the two TBSP of tomato sauce on the salmon- and spread it, slice the cherry tomatoes and put them on top of the salmon and sprinkle the basil on top! Pop it in the oven and 20 minutes later (more if you like your salmon well done) the salmon is done to perfection! It was an experiment, and absolutely delicious!